Children of the nineties Eden and Joshua Porter bring us this wonderful look at their love affair with video games. They also throw in plenty of pop culture from their childhood that will have you laughing through all the nostalgia. 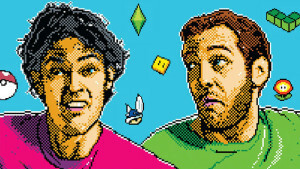 The whole show is based upon the audience helping the brothers to complete all the levels in a hexed video game to reach their final goal and escape. They have come up with wonderful ways to involve us including some projectile work that must be an insurer’s nightmare. There are some witty improvising around audience responses but this heavily scripted storyline requires them to keep us on a short leash (just like those “open world“ games that guide you along a single path…but that’s a rant for another time). Eden and Josh have so many creatively amusing ideas and have thrown everything and the kitchen sink at this show. Liberal use of game animation and sound effects as punchlines? Check! Lots of crazy props? They’ve got ‘em! Wonderfully hammy acting and silly costumes bringing your favourite characters to life? You bet! Their techie must be commended for nailing the plethora of video and audio cues required in this simultaneously high-tech and low-fi production. Highly polished videos and painted cardboard boxes create an immersive game world in which the audience are emotionally invested. This show is clearly aimed at a particular demographic (I certainly felt old at times) but if you were born before or after these brothers, fear not. Their wacky portrayals of various cultural artefacts provide plenty of chuckles, regardless of your familiarity with them. Even those who don’t game will find lots to laugh at as the Porters mug their way through the quest, throw themselves around the stage, comically bicker and act their little socks off with great comic timing. This manic romp through their personal history of games is an exhilarating and hilarious ride. 1. You’ve played more video games than you realise – You’ll enjoy it whether you’re a gamer or not. But lets be honest, there’s no one reading this who hasn’t played Tetris or The Sims. 2. The Sims – If you delighted in torturing your sims by locking them in a room as they busted to go to the toilet then prepare to torture Eden live on stage. 3. 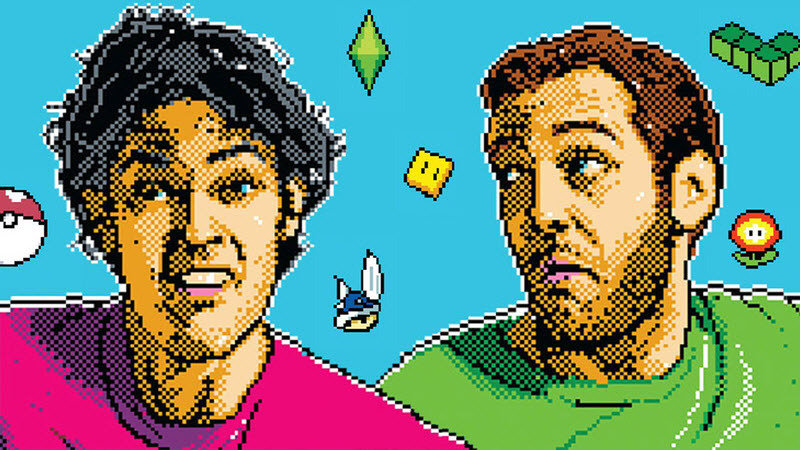 Nostalgia – Take a stroll through your old save games as they navigate growing up in the 90s with Cheez TV, slap bands and crying when you lose a game of NBA Jam. ‘Member NBA Jam? And Doom, if you’ve wanted to be a Pinky Demon from Doom then don’t miss out. 4. High fidelity graphics – The show looks crisp running in 4k at a stable 60fps with HDR, it looks so realistic it’s almost like you’re in the room with them. 5. Mario Kart – Recreated live on stage. For real. If you’ve ever wanted to throw a green shell at Luigi (or Josh) then this is your chance.